During the traumatic week that The Cooktwit was left marooned and had to fend for himself with a five day breakfast blitz of Manchester (see here) he also had to endure eating out straight after work for his tea as well. These things are sent to try us, but you’ll be pleased to know I gave it a good go. I deliberately chose either quirky, relatively new, or just plain different from my normal fayre. If you’re canny Monday night in Manchester can yield a few bargains. 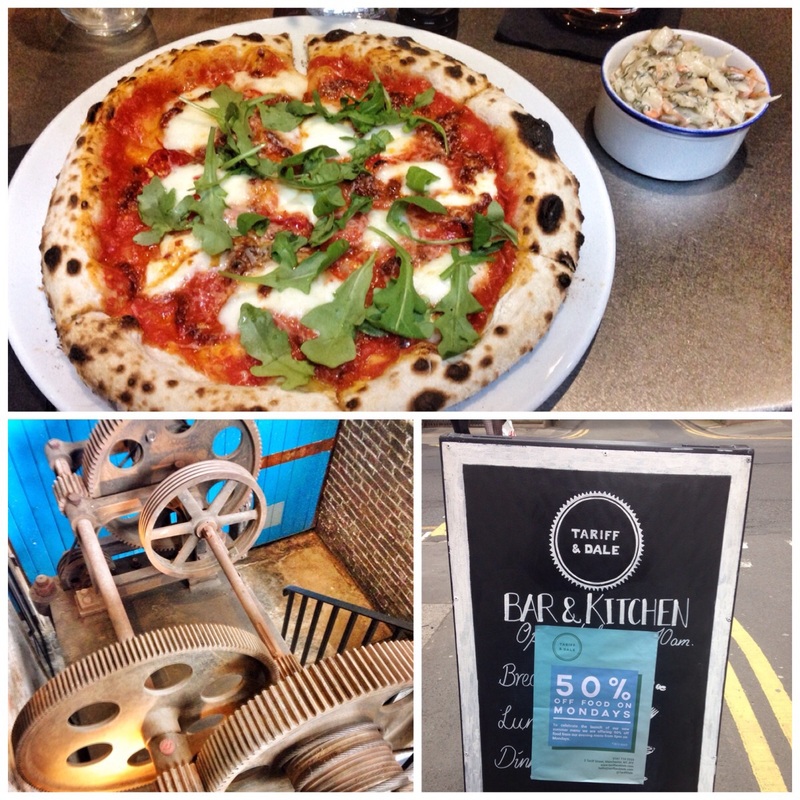 I figured the 50% off food deal at Tariff and Dale, hip new pizza joint in the Northern Quarter would be a good start. And indeed it was. £9.60 all in for a rather fine Outstanding Brewery IPA, a rather generous plate of hot Njuda sausage and chilli pizza and a rather fine tublet of slaw. The pizza was a belter, typified by the rather fine ‘leoparding’ around the edge, ensuring the excellent dough base had been ‘caught’ at just the right time. 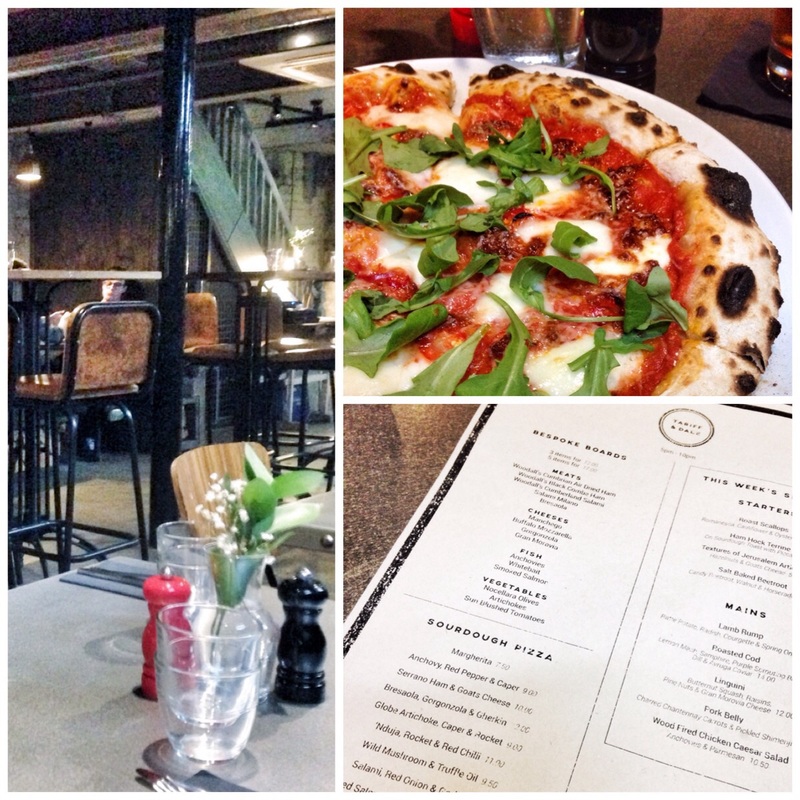 I ate downstairs in the ubiquitous, NQ, industrialised decor. A thoroughly pleasant teatime feast. Tuesday, it was over to another new, Northern Quarter outfit. This time Yard and Coop. 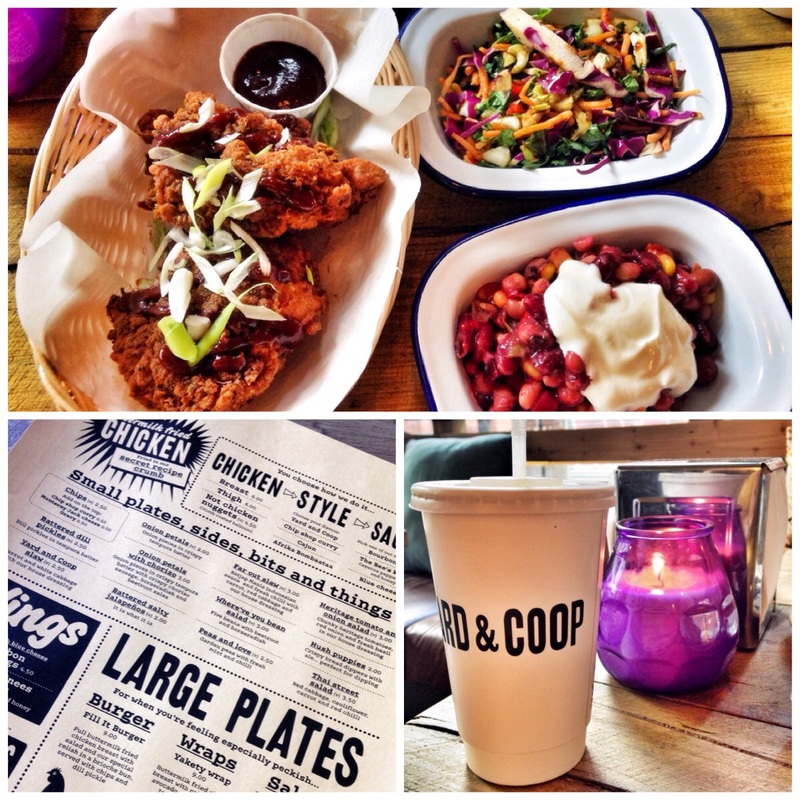 It’s modus operandi is to ply the locals in buttermilk fried chicken. I’ve become fairly addicted to this stuff via streetfood favourites Mumma Schnitzel, so I was quite looking forward to compare. I had two decent chunks of boneless thigh. It comes with a much darker (and hence different tasting) crumb than Mummas, but it was nonetheless rather good. The chicken beautifully succulent. I had a couple of sides, a bean salad with creme fraiche which was rather good and a spicy slaw which was not. There was no mayo in it, so it was curiously dry, livening up only when a kick of spice became apparent. Had a corking vanilla milkshake with it. All in around £14. 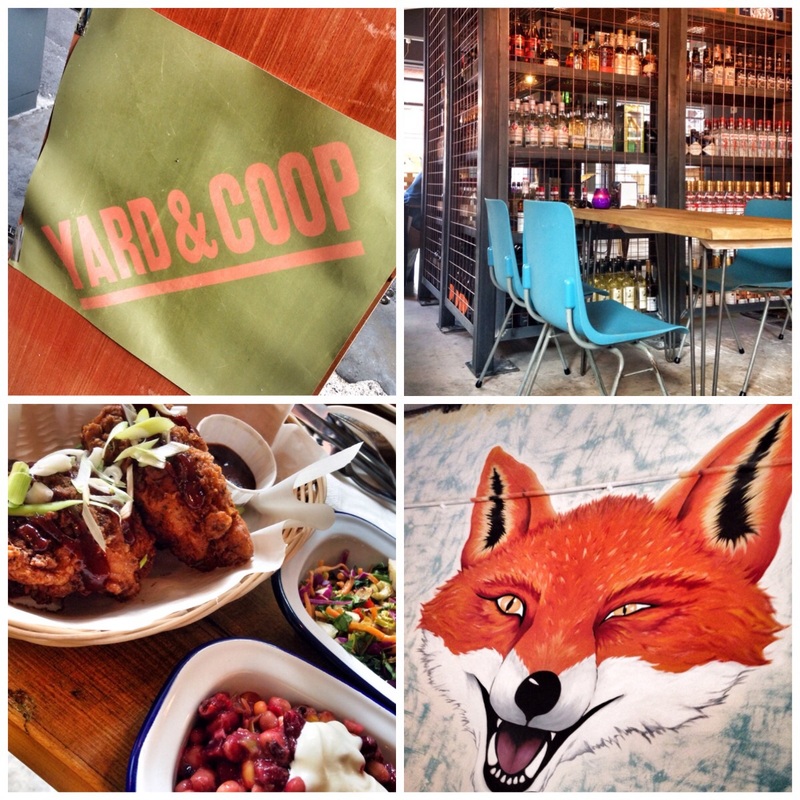 Loved the place, anywhere with a cartoon fox on the wall and some chicken coops to sit in has to be good right? Sticking to the Northern Quarter I then nipped into El Capo for some Mexican tapas (via a rather splendid Seven Brothers Pale ale and a mojito at Beef and Pudding!). I can’t really tell you much about the decor. It was so dark down there I had to use my iphone torch to see the menu! That said I enjoyed the food. 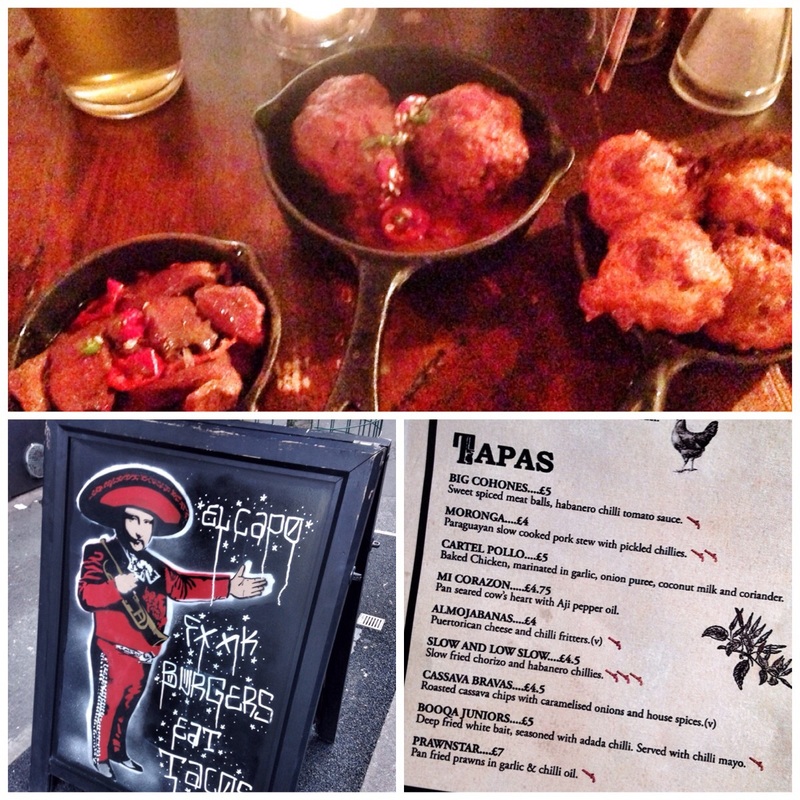 I had three plates, balls, heart and cheesy fritters. All really good actually. The cows heart with chilli was particularly good. Subtle liver taste and texture. The meatballs were massive. I imagined that size they would be too dry, but they weren’t. The cheesy fritters provided a lovely contrast to the other two spicy dishes. All in with a Shipyard IPA £18. Heart balls and fritters. It’s dark so apologies for the crap pics! A final touch of indulgence. 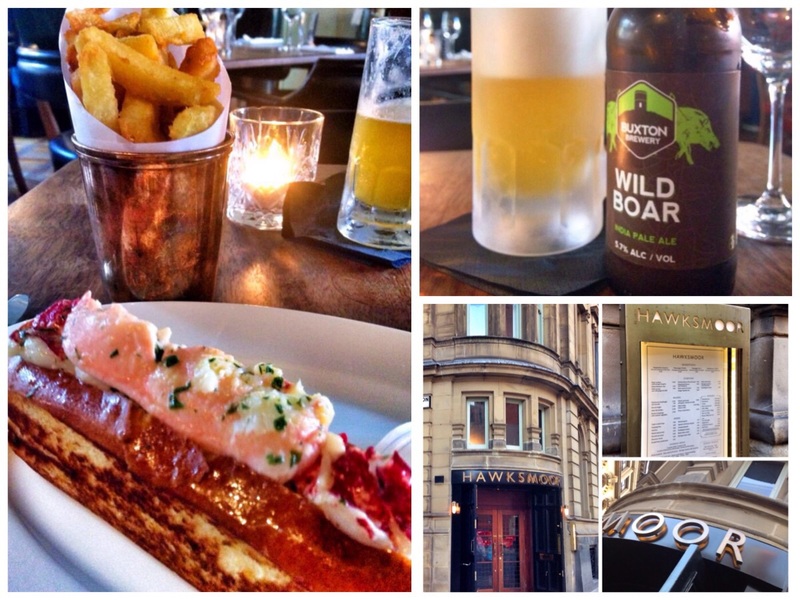 Nipped into Hawksmoor (review here) for a lobster roll and chips. Slushed down with a Buxton IPA it was my biggest expenditure at £27.50, but Ye gods it was good. I recommend all to do this at least once! A lightly toasted brioche elongated roll (hot dog roll?) came stuffed with luscious chunks of sweet, garlic buttered lobster and a dish of buttery béarnaise sauce. I have waxed lyrically at the triple cooked chips before. Given it was sixish I had the exquisite restaurant to myself, I felt like a Lord! Forty five minutes of pure bliss. The Flame came back Friday so it was back to a comforting salad for tea! Only kidding, we actually treated ourselves to a chippy tea. Rather good though I say so myself. Top week had by all. Spent a few bob but it was worth it. The new boys on the Manchester block delivered. Plenty more to come……..